Nate Matthews at KCL Geography walked me quickly through this great new water basin planning tool recently. It’s designed as a game and freely available to play online. Here is the link to the game and a short description from a pdf flier for the game. It uses a lot of scientific data to make impacts realistic and includes potential for politics, corruption, urbanization, and so on. This is a great resource. 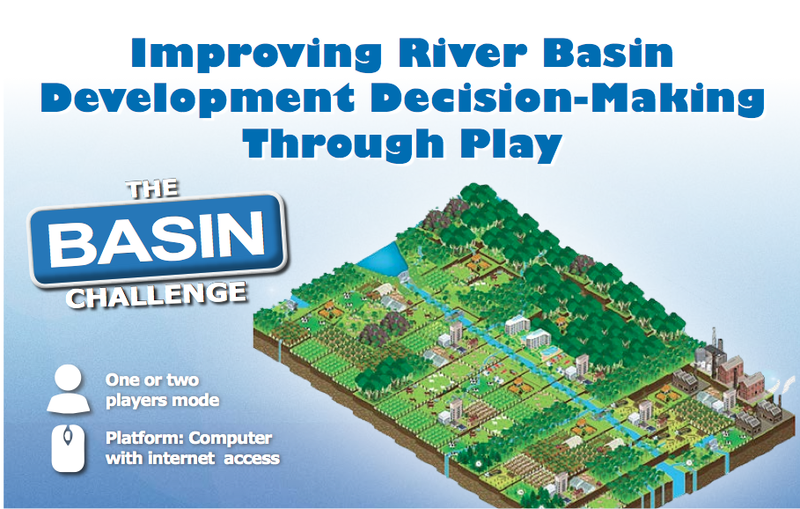 The Basin Challenge allows players to simulate development of a river basin over the course of 50 years—but rather than waiting years to observe the impacts of development decisions made today, players can instantly see the cascade of impacts caused by development projects. The game is especially useful as a decision-support tool for decision-makers, as it can help them to try out various development scenarios, visualize and understand the impacts caused by specific development projects, and improve their decision-making abilities through learning-by-doing.